Kick That Now Vol. 1 contains 500 kicks divided in multiple types to suit all sorts of productions. From heavy oriented to more gentle and easy-to-listen-to samples, there are bound to be kicks for your tracks in making! Is a 500-kick-sample-pack not enough? 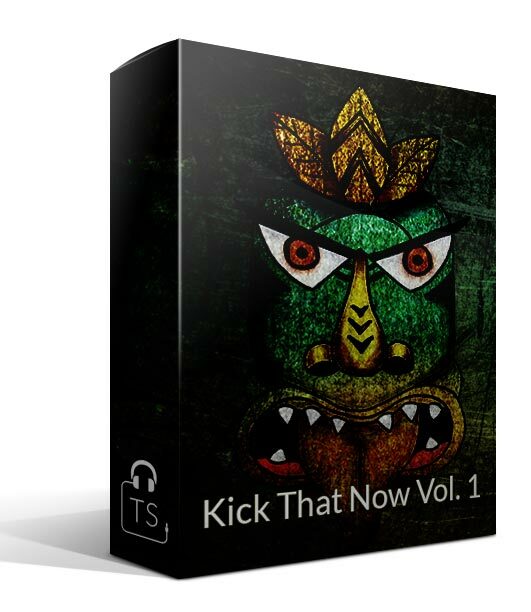 Check out Kick That Now Vol. 2 for another 500 hard hitting kicks! The Kick That Now Vol. 1 package also contains our destined artwork, backgrounds & the demo tune. Fill in your name and email to get the demo pack of Kick That Now Vol. 1, containing the 10 samples listed on the left, for free! Can I kick that a bit later? We don’t recommend that; Carpe Diem! Live in the now! Just do it!